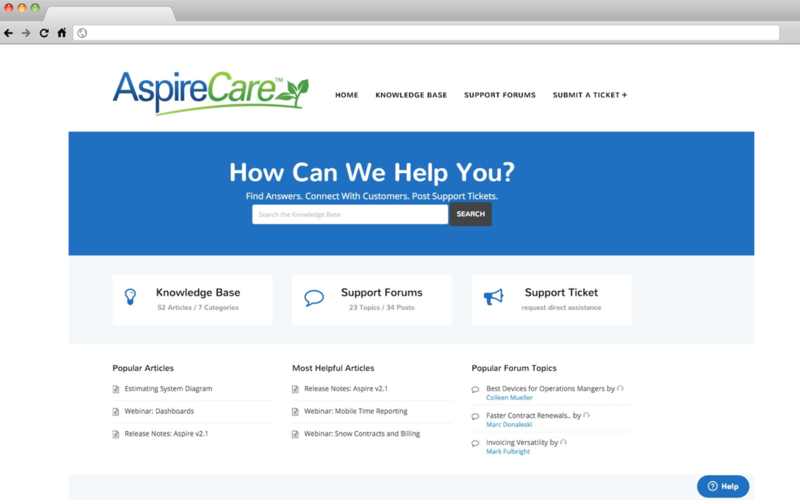 The AspireCare™ client portal connects you to exceptional support and a community of customers for even more advice, innovation and ideas. Click the numbers to learn more. As a client, you have full access 24/7 to get help when you need it. You can talk to your Account Manager, and we encourage you to work with our expert Support Team in St. Louis. Simply type in a topic to navigate the Knowledge Base. You can also start a conversation with other Aspire users in the Support Forum or submit a question via the Support Ticket area. There’s no more begging for help or long waits from your IT vendor. All this support is included in the price of the software. There are no additional fees for support calls. Fast, easy way to search AspireCare. Simply type in your question and you’ll see a list of articles, Forum topics, videos and other documentation. The Knowledge Base is your self-education center and reference resource. The Knowledge Base has every new release bulletin posted with critical information providing details on new features and enhancements to the system, which usually come out every month. This is also where you will access written documentation (User Guide) with helpful articles, diagrams and step-by-step procedures on how to use Aspire. Connect and learn from a dynamic community of Aspire customers. Post a question, see how others are using Aspire, and start a dialog with other customers. Our goal is to help you make more money by providing you with a productivity tool. Believe or not, not every landscape company does things the same way. Shocking, I know. We are forming user and peer groups regularly during the year to address “best practices” associated with running a landscape business and using Aspire to do it. The Support Forum is a way to meet and learn from other Aspire users like yourself. We encourage interaction with other landscape company owners as well as with Aspire management to make the system work better for you. Any new software comes with a steep learning curve. Our aim is to lessen that steep slope. We help you through our ticketing center. You can submit a ticket, which is a simple request for help with a description of your problem or need. You can include screen-shots or other documents with your ticket. Our staff reviews every ticket and responds to you within a day. We are really, really good at this. Our people are dedicated. They know service is the most important thing we do. We even provide ways for you track and manage your tickets. 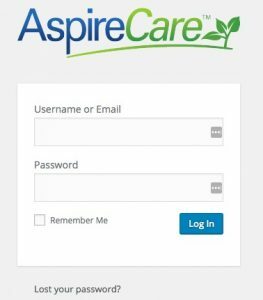 The AspireCare team works with your Account Manager to get you set up and help you keep learning the system. AspireCare lets you give ratings feedback on articles. We use this and other analytics to constantly improve your AspireCare support. This section leverages our customer support interaction data to show you the most popular and helpful AspireCare content.